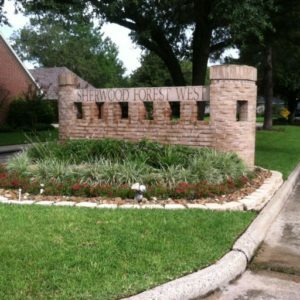 Sherwood Forest West is a subdivision in the city of Dickinson, TX consisting of 107 residential lots located in north Galveston County, TX. Incorporation as a non-profit corporation began at midnight on December 31, 1989. The purpose for which the homeowners association is organized is to provide for the maintenance, preservation and architectural control of the residential lots, houses and community properties within that certain tract of land located in the State of Texas, known as Sherwood Forest West Homeowners Association, Inc., and any additions thereto as may hereafter be brought within the jurisdiction of this corporation, and to promote the health, safety and welfare of the residents within the above-described subdivision.